Bocas del Toro is a province of Panama in the Caribbean coast and considered Panama´s top travel destination. Time needed to visit Bocas del Toro: 3 days in Isla Colón to enjoy Bocas Town are needed, we recommend you to choose another island and spend 2 days more. Budget: 45$ per day, take into account in high season you might need a bit more. By bus, is the cheapest way. From Panama City bus station you’ll get to Almirante for 20$ overnight roughly 10 hours. Once you are there you need to take a taxi, they will be already waiting once the bus arrives, and it will cost about 1$ per person to bring you to the water taxi. With the water taxi from Almirante they will take you to Bocas del Toro town in 30 minutes for just 4$, first trip start at 6 am. The main island and you can find the capital of Bocas del Toro, Bocas Town. 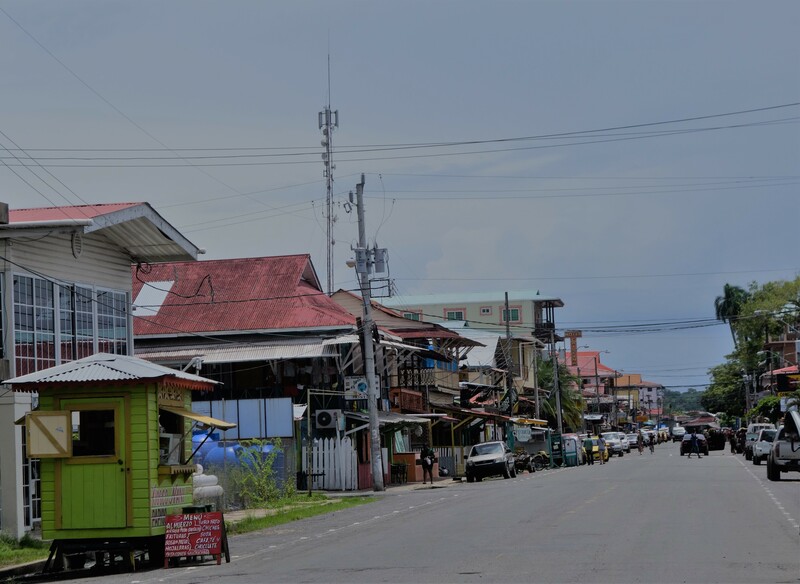 In Bocas Town you will find plenty of shops, hostels, bars and restaurants to enjoy the great nightlife. In Bocas there is a friendly atmosphere with Latinos and resident gringos. The most popular beaches are Boca del Drago and Starfish beach, and like its name says you will be able to see a lot of starfishes. If you want to surf we recommend you to go to Playa Bluff on the eastern coast, this beach is also a nest for turtles. Isla Carenero is an alternative of Isla Colón if you are looking for peace and quiet moments. This island is also a good option for a day trip from Bocas Town with a water taxi for around 1$ per person. Located in the south of Bocas del Toro Archipelago, it is home to the indigenous Ngäbe or Guaymí people. San Cristóbal is the perfect place to experience the culture that Bocas del Toro has to offer. A tourist spot is the Dolphin Bay to visit the dolphins living there. 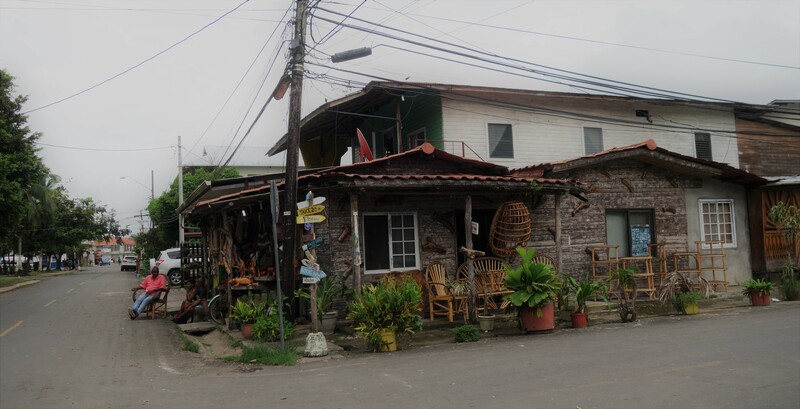 One of the largest island in Bocas del Toro, here you find the town Old Bank, the Salt Creek indigenous community. You will also find the Isla Bastimentos National Marine Park. The best beach of the island is Red Frog beach, a must see if you visit the island. There you will find bungalows hut hostels. Another amazing beach in Isla Bastimentos is Wizard Beach but unfortunately is only accessed by difficult and unsafe trails, either from the town or Red Frog Beach. If you do those trails to reach the beach don´t take any valuables with you and don´t walk at night, be cautious. Tips where to sleep, where to eat and drink and how to visit and explore Bocas del Toro. In Isla Colón we recommend you to book your hostel direct in Bocas Town and visit from there the beaches as the nightlife and mainstream is there. If you want to stay in Isla Carenero we recommend you this beachfront hostel. In Isla Bastimentos Panama`s Paradise Caribbean Cabanas Rafael`s House, located in the heart of Bastimentos town is a good option. Capitan Caribe in Bocas, they have small menu but this roadside restaurant offers tons of flavour and a friendly atmosphere. Food is prepared in a food truck, you will get to sit in a picnic tables, a good option to interact with other travellers while enjoying a great cheap dinner. Café del Mar in Bocas, amazing tasty food including burgers, wraps, salads and great smoothies. Chavela Bar & Restaurante in Isla Bastimentos, if you are looking for excellent food, large portions and affordable price this is your place. Ideal for dinner, the bar is made with wood and decorated with Caribbean style. People use to come every day of their stay to this Restaurant. 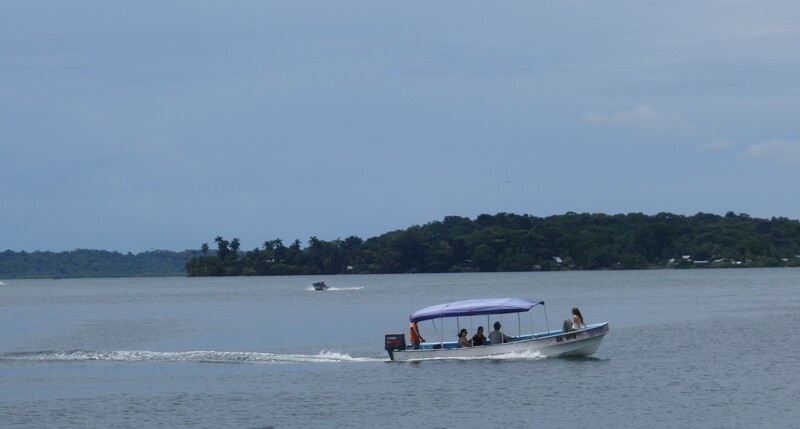 We recommend you to stay 3 days in Bocas Town and make 1 or 2 day trips to the nearby islands and see the difference between them as the water taxi are not so expensive. Of course you will get a better price if you are able to speak a little Spanish and if you are in a group. Remember not to pay the return as is a guarantee that they will pick you up. In Isla Colón you can rent a bike in Bocas Town and explore the island and enjoy the nature. Most tourist stay 3 days in Bocas and 2 in Isla Bastimentos to get some time to explore the nature. 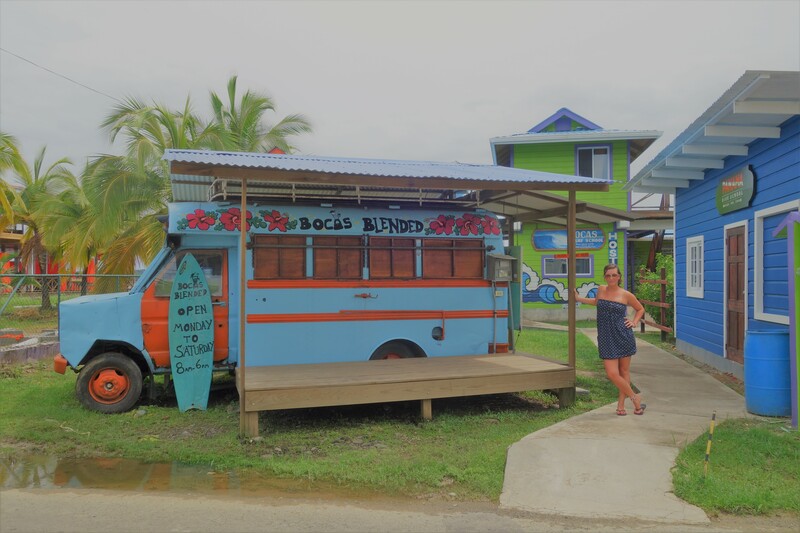 Once you are in Bocas del Toro is really easy to get to Costa Rica as you are fast at the border and from Bocas Town you can book a lot of shuttles to get to San José or Puerto Limón. We hope you like our Bocas del Toro Born Backpacker Guide, follow us there is more to come! Thanks so much for all of the great tips! Are you on pinterest? Need to save this for later! !